despite the sombre tone I think this house is fab. 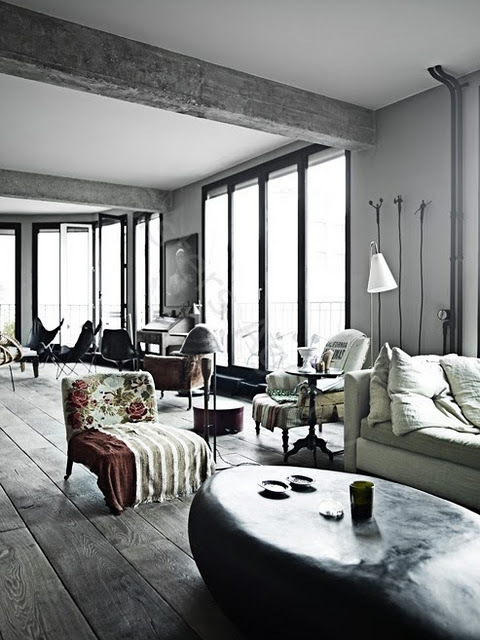 I absolutely love the wooden floor, the beams and the mixed match furniture. 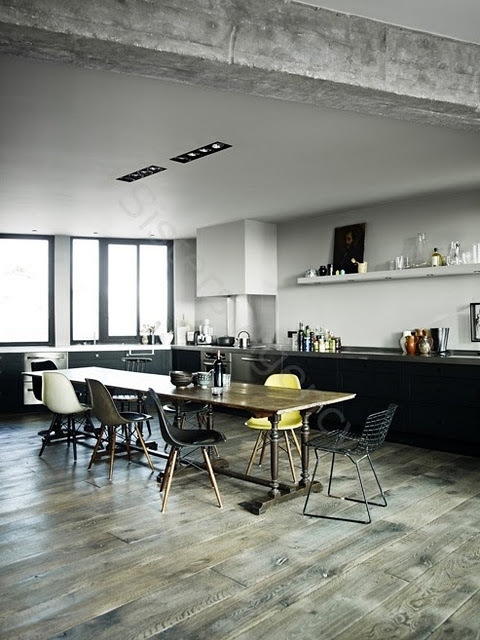 And the Eames chairs, ooooh the Eames chairs. I think I *need* a yellow one! 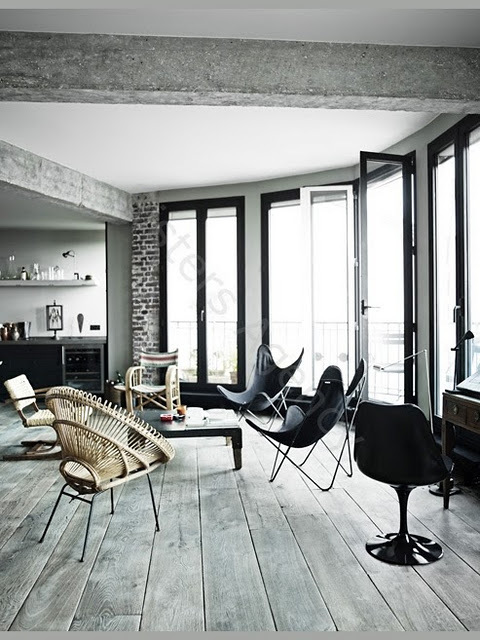 Lauritz is an excellent source for original vintage Eames chairs like these. I am definitely in need of an extra strong coffee this morning as my littlest girl is starting nursery today and I am off to join her and her group for an hour! 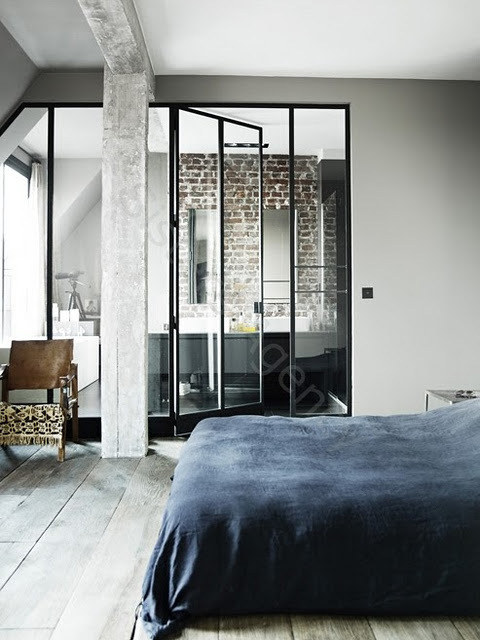 I'll need to look at lots of pretty home inspiration this morning to restore myself this afternoon! See you in a bit. Love the place, I could live there.